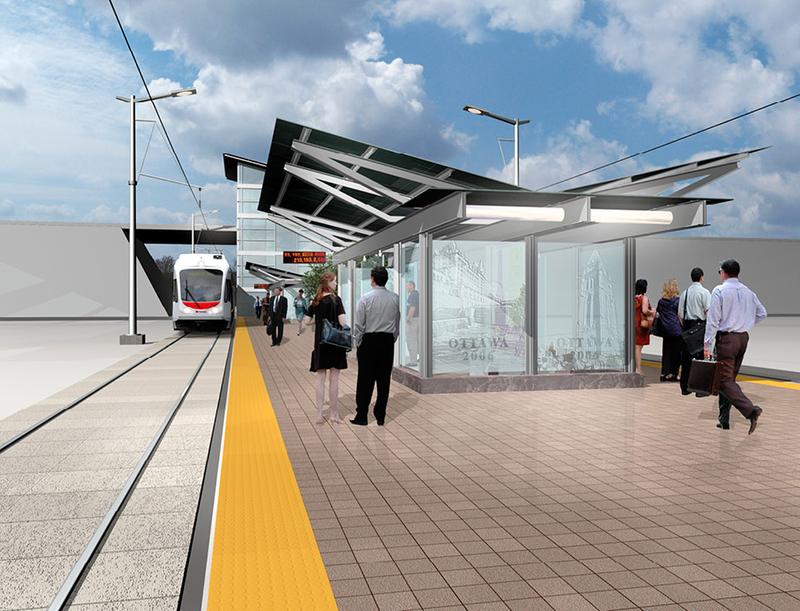 Ottawa North South Light Rail Transit - Strasman Architects Inc. The Ottawa N-S LRT Proposal was a project with SNC Lavalin for the City of Ottawa. 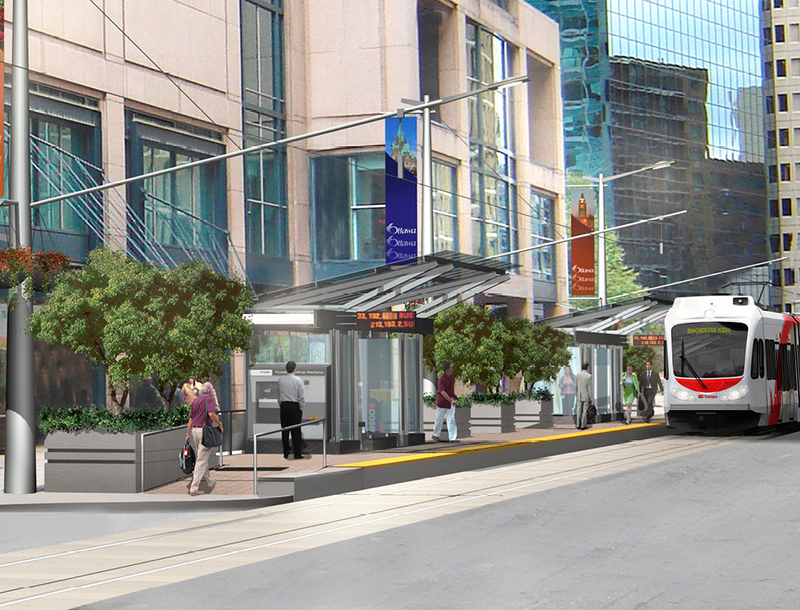 The project was proposed by the City of Ottawa to contract a single proponent for the design, construction and maintenance of a transit program that included over 100km of LRT and 60km of Bus routes from Downtown Ottawa in the North to the Nepean area. 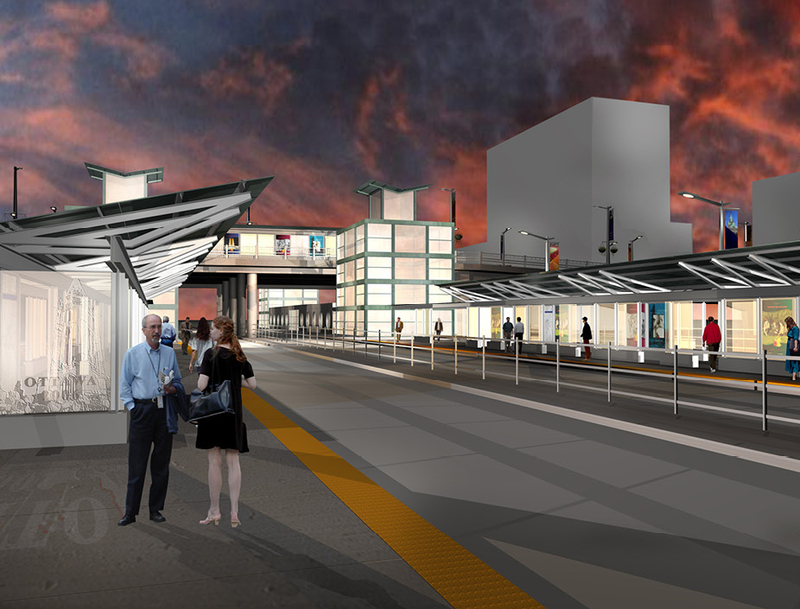 The project included design of the complete rail corridor and architectural elements consisting of 26 stations, which included shelters and street furnishings, park n’ride stations, and a large hub-stations that would ultimately be connected to other existing transit systems. The design approach was to identify, assemble and design a kit of parts adaptable across multiple sites that would provide a consistent public interface and coherent brand consistent with the City of Ottawa’s strict objectives. 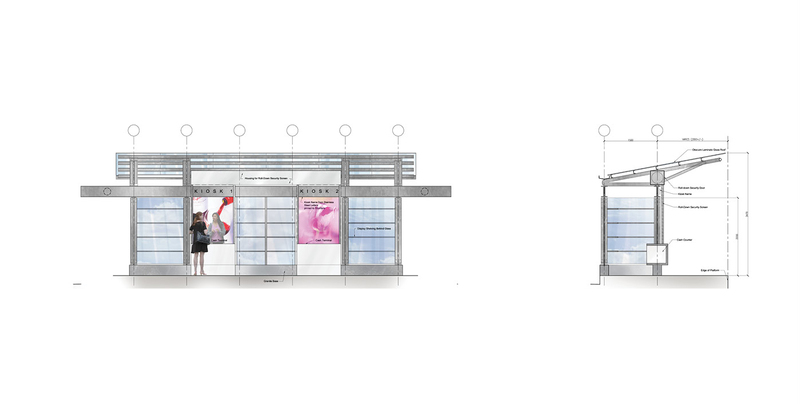 Through street furnishings, signage, small and large building typologies, the design team was able to establish a set of articulated elements that could be implemented immediately or could serve as resources for future design projects. All components were reviewed for design effect, from surface parking to newspaper stands, to assess their ability in contributing to an overall brand and aesthetic experience. In addition, durability, economy and life cycle cost were high priority features of the design proposal to satisfy the requirements for ongoing cost effective operations. SAI Strasman Architects Inc. Toronto, Ontario. All rights reserved. SAI Strasman Architects Inc.